Tatra Banka Foundation awarded a few outstanding artists on November 24, 2007, for the 12th time in its history. For music Vladimír Godár was awarded for his compositional as well as organizational work for the music society. On November 7–16, 2007 the 9th festival of contemporary music Melos–Ethos took place in Bratislava. As Vladimír Godár was a member of the festival committee, his compositions were not performed. However, he played the pieces by Giya Kancheli on November 8, Time... and Again for violin and piano and piano quartet In L’istesso tempo. He played the piano, his partners being the violinist Juraj Čižmarovič, violist Milan Radič and cellist Ján Slávik. The world famous Georgian composer Giya Kancheli was a guest of the festival. It was for the 7th time that festival Convergence (www.konvergencie.sk) took place in Bratislava. The godfather and main organizer of the festival is cellist Jozef Lupták. The best chamber music by domestic and world composers is allowed full play and exqusite Slovak as well as foreign performers have got an opportunity to show off. Jožko Lupták himself opened the festival with his cello solo at the Klarisky church in Bratislava (Sept. 13, 2007), premiering the latest piece by Vladimír Godár Passacaglia for cello. 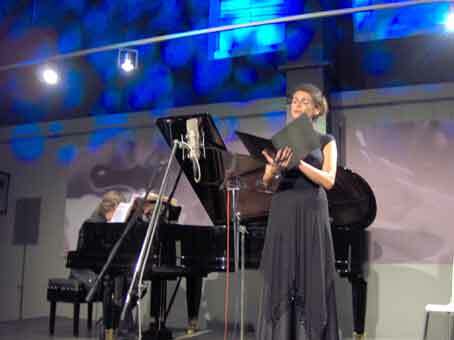 The end of the festival was Godár’s, too, who at the night concert in the Design Factory in Bratislava (Sept. 16, 2007) played the piano and accompanied the singer Petra Noskaiová. The project was entitled Russian Lullabies and Dreams and 27 pieces by Glinka, Dargomyzhsky, Tchaikovsky, Balakirev, Borodin, Rimsky-Korsakov, Musorgsky, Lyadov, Arensky, Taneyev, Gretchaninov, Lyapunov, Blumenfeld, Shostakovich, Stravinsky were performed. In the frame of the Slovak Republic National Day in Malta (Sept. 9, 2007) a concert took place, on which a Slovak violinist Milan Paľa, who still studies in Moravia, performed Passacaglia for violin by Vladimír Godár, beside other pieces by Max Reger, Ilja Zeljenka, J. S. Bach and Evgeny Irsai. 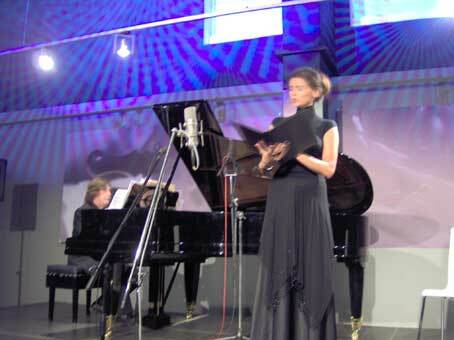 A singer Marta Vávrová and a pianist Petr Vašíček performed Vladimir Godár’s piece Four Serious Songs in Berlin (Germany) with a great success (July 5, 2008). 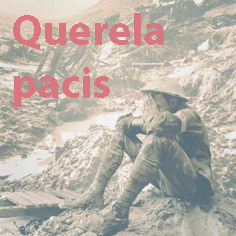 Since the beginning of the year the pieces from the CD Mater were aired on many radio stations of the world. 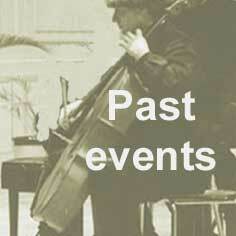 The webpage Past events – 2007 contains more particular information. 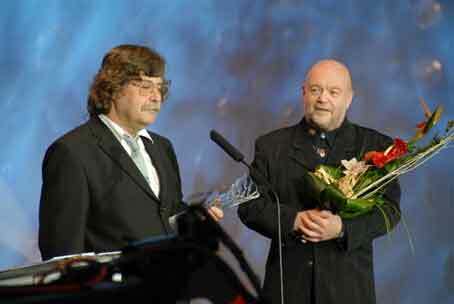 Vladimír Godár was awarded the Crystal Wing Prize on May 8, 2007, for his CD Mater, a unique accomplishment in the field of music in 2006. The prize was handed by jazzman Peter Lipa. Results of the competition the Most Beautiful Books of Slovakia in 2006 are known since April 2007. The Prize of the Ministry of Culture of the Slovak Republic for the overall artistic and technical value of a book was awarded to a book-CD Mater published by the Pavian Records (the Slovak version of the CD!). It is mainly a photohrapher and graphic Vladimir Yurkovic, responsible for the whole design of the book, and a painter František Lipták, author of those charming paintings, who should claim credit for that. Ensemble Solamente naturali and Choir of Bratislava Conservatory toured the cities of former Czechoslovakia (Ostrava, Bratislava, Brno, Praha) on April 23 to 26, 2007 with the Mater programme. Iva Bittová thus sang Mater for the last time till she leaves Bohemia for USA. The choir was prepared by Dušan Bill as usually and the whole programme was conducted by Marek Štryncl. The concerts took place in hopelessly full churches and listeners dismissed the performers only after a very long applause, encore and standing ovations. 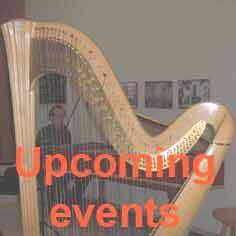 CD Mater was aired on wprb radio station in the programme Classical Discoveries by Marvin Rosen on April 25, 2007. From the hundreds of classical CDs the magazine Gramophone reviews each month, editor James Inverne selects 10 outstanding recordings. CD Mater appeared in Editor’s Choice in May issue of the magazine. Pianists Ivan Buffa and Diana Cibuľová recorded a new CD comprising piano pieces written exclusively by Slovak composers New Slovak Music for Piano. One of the oldest works by Vladimír Godár, Trigram for piano, and Emmeleia for piano for four hands may be found here, too. Compositions of Slovak composers for a special setting of four celli were recorded by four outstanding Slovak cellists Jozef Lupták, Jozef Podhoranský, Eugen Prochác and Ján Slávik on a new CD titled Cellomania; Swan Song by Vladimír Godár among others. Czech magazine Rock-pop (April 2007) has published the results of the inquiry Rock choice 2006, in which journalists and readers of the magazine vote in several categories. The journalists have chosen the CD Mater of Vladimír Godár and Iva Bittová as the CD of the year. The Solamente naturali ensemble led by Miloš Valent, Bratislava Conservatory Chamber Choir with the choirmaster Dušan Bill, the soloist Iva Bittová and conductor Marek Štryncl accomplished a concert tour – they performed in Italian Bergamo and in Memmingen and Berlin (Germany) on April 1, 2, and 3, 2007. Ulrich Amling named CD Mater as his favourite of his choice of the best CDs in the column Die besten CDs of the periodical Der Tagesspiegel (April 1, 2007). The Vladimír Godár’s pieces Ecce Puer and Magnificat from the CD Mater sounded in March 2007 in 11 francophone radio stations in the frame of Solénoide broadcast in Mission 107 programme. The piece Talisman was played as a part of a longer programme of the concert on March 11, 2007 in Vác, Hungary, at the Béla Bartók Music School. It was performed by the same musicians, who premiered it in Bratislava on March 11, 1984 – violinist Péter Hamar, pianist Gabriella Hamar and cellist Ján Slávik. The concert was a birthday celebration of the pianist Gabriella – congratulations! The same trio will play Talisman on May 10, 2007 in Dunajská Streda. According to periodical Spiegel the CD Mater has appeared in the Klassik Bestseller chart on the 18th notch (February 26, 2007). Minister of Culture of the Slovak Republic Marek Maďarič awarded Vladimír Godár “The Prize of Minister of Culture of the Slovak Republic 2006” for the cycle of pieces released on the CD MATER, transforming the cultural values and motives of the past into the present artistically impressive music utterance, on February 2, 2007. The young Slovak artists – a violist Ivan Palovič and a cellist Michal Sťahel successfully met the challenge of playing pretentious solo parts in the Vladimír Godár’s piece Dariachanghi’s Orchard, a myth after a novel by Othar Chiladze for viola, cello and orchestra, which was performed on February 15th, 2007 at the 6th subscribers’ concert of the Symphonic Orchestra of the Slovak Radio conducted by Oliver Dohnányi in Bratislava. Almost 20 years have passed since the composition was premiered (1988) and the Radio Orchestra played it already in 2000. The piece has not lost a bit of its turbulent and tense character and still offers abundance of rich experiences for both performers and listeners. The exquisite performance of all participating performers during the whole night contrasted sharply with the present uncertain existence of orchestra members – the orange ribbon on the clothes of performers indicated the preparedness for strike. 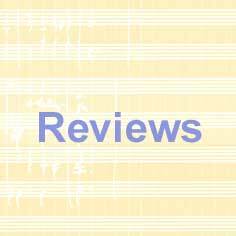 Reviewer Barry Witherden in his review published in BBC Music Magazine (February 2007) on p. 75 awarded the CD “Mater” *****; 5 stars for performance, 5 stars for sound; 5 stars is the maximum. The Jury of the Midem Classical Awards of the biggest music expo in the world, Midem in Cannes, has awarded the ECM publishing house the title “Label of the Year” this year. Manfred Eicher has enriched the tradition by new ideas and energy, presents many significant contemporary composers and performers of international scene and helps to raise the level of early music reconstruction. Manfred Eicher has been awarded many awards during recent years, yet this award, too, is a welcome confirmation of his decision to offer space for unknown and courageous artists. So Mater, too, belongs to jewels of artistic mosaic of Manfred Eicher, for which (…) ECM has acquired the “Label of the Year” award.